The Courtyard House located in Ahmedabad, Gujarat, India has a design concept that has all the living spaces and passage face open space and garden. 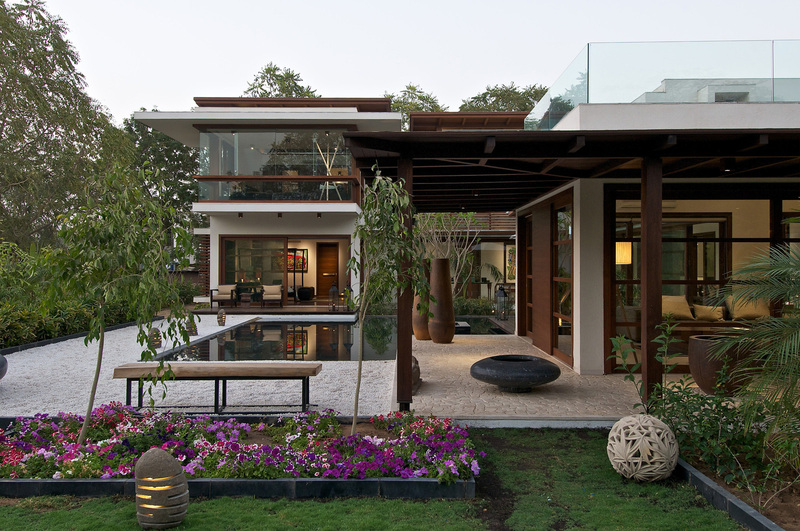 Designed by Hiren Patel Architects, the main element of the house is a central courtyard which holds the reflection pool and a Zen Garden. The simple clean lines of this minimalist bungalow in Gujarat, India keep the residents of the house in touch with the outdoors. The outdoor swimming pool is the central focus of the house which connects intimately with the living spaces.